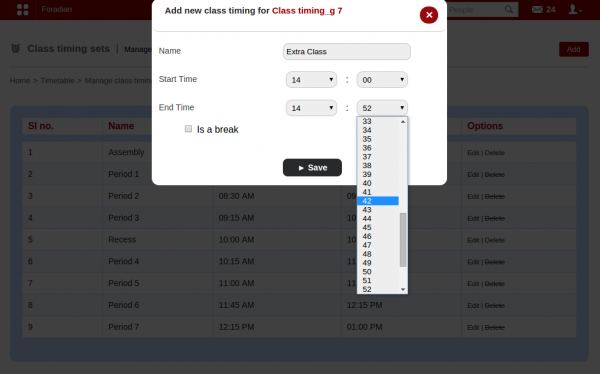 Earlier version of Fedena allowed the users to set class timings, only at 5 minutes interval. 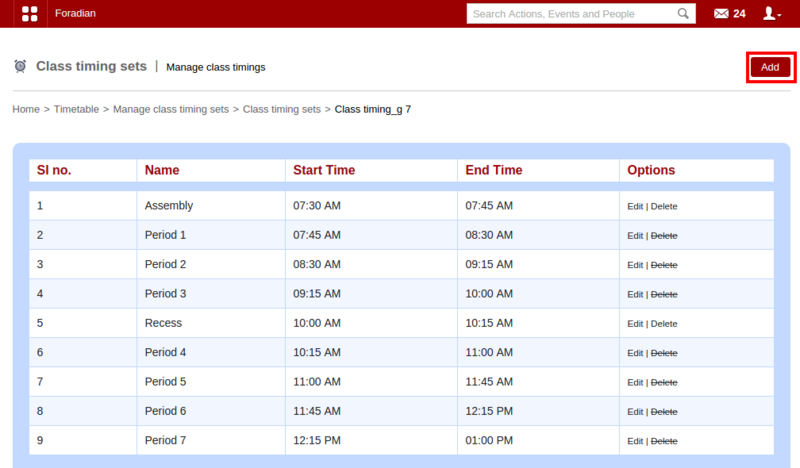 Hence, class durations were set at the multiple of 5, i.e, 5 minutes, 10 minutes, 20 minutes, etc. 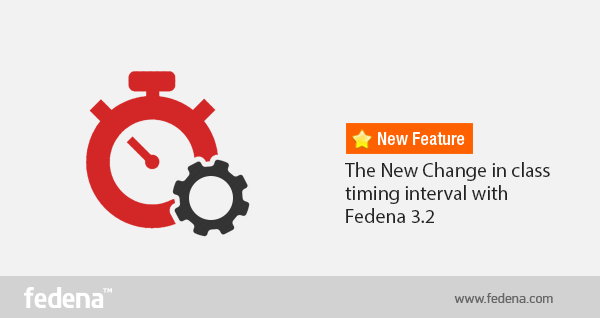 But with Fedena 3.2, the class timings can be set for any time limit and it may not necessarily be a multiple of 5. Thus, being an user, you can now set the class timings for any time period- a class can be of 41 minutes, 52 minutes, 23 minutes, etc. Read on the article and find out how you can set class timings with the new changes. Go to your Fedena account and go to ‘Timetable’ in ‘Academics’. Select ‘Set class timings’ to go to ‘Manage class timing sets’ page. 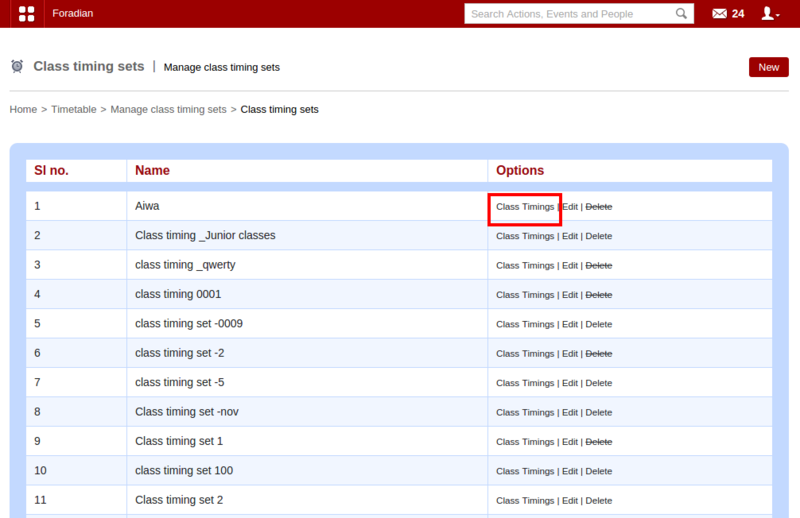 Go to ‘Class timing sets’ and select the particular class timing from the list. 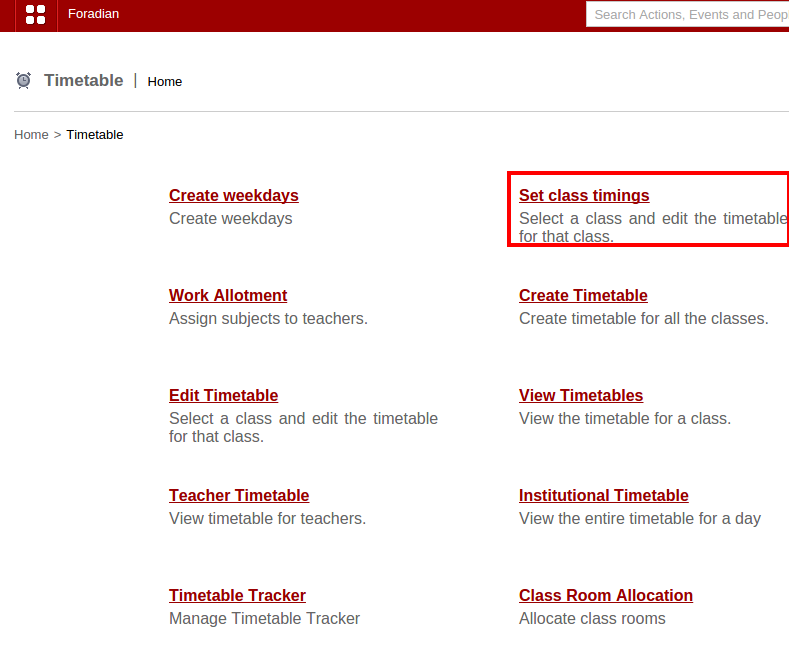 Class Timings’ will take you to the ‘Manage class timings’ page. Click on ‘Add’ button as shown in the screenshot above. You can set the class duration of any time limit. It need not have to be in the multiple of 5. The class duration can be of any time duration, be it 15 minutes, 18 minutes, 42 minutes, etc.